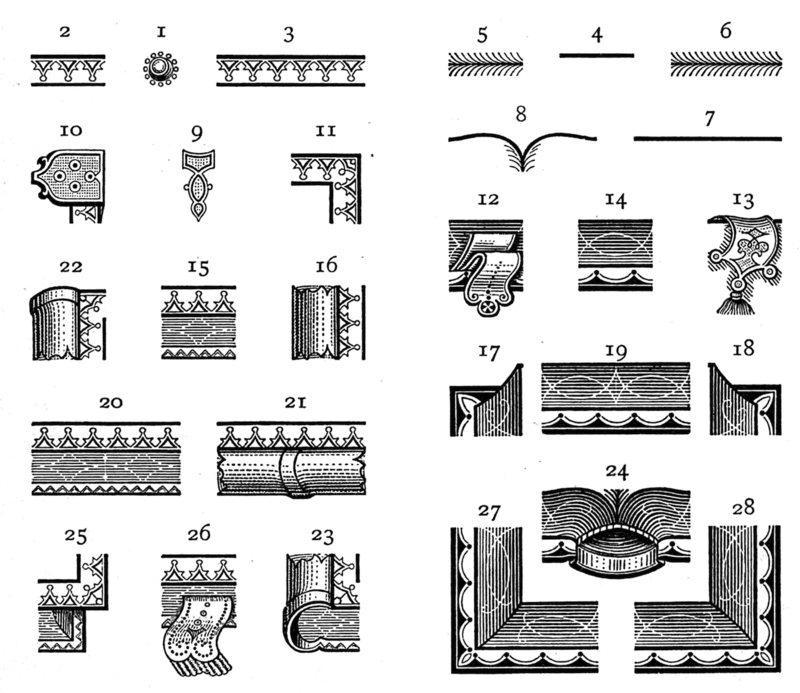 The original patent file describing the individual modules in all detail can be found here. 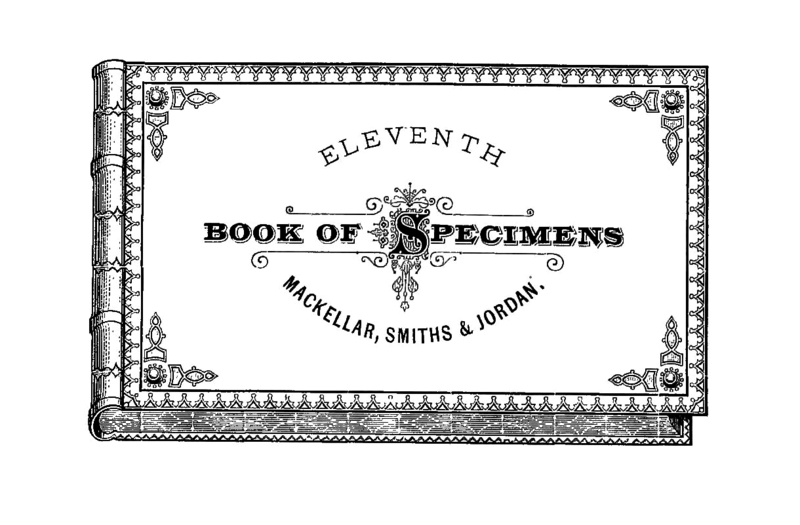 The 1889 «Convenient Book of Specimens» by the Franklin Type Foundry of Cincinnati offers also — amongst other border designs originally by MacKellar, Smiths and Jordan — the ingenious «Combination Book Border. Series 87». After 138 years on the shelf, it is carefully recombined for the «non-alphabets» project — for the sheer sake of skeuomorphic absurdism.